If God Has Done Such Great Miracles, Why Don’t More People Believe? This is an important question that I have been asked on a number of occasions. And it deserves a thoughtful response. Her underlying assumption seemed to be that if people hear the compelling evidence for design, then they would believe. In other words, unbelief is the result of simply not having enough evidence. While many people have been drawn to Christ through encountering the evidence for God from nature, conscience, Scripture, the miraculous and more, conversion is not a matter solely of intellectual assent. The call to follow Jesus is not merely to logically believe certain facts, but to turn to God in repentance and to love God with your heart, soul, strength, and mind (Mark 12:28-34). If someone were presented with evidence for the identity of Jesus as the Messiah, why would he or she resist? While there are a number of different reasons, consider an example from Mark 3:22-30. In this story, the scribes were trying to trick Jesus by claiming that his powers came from “Beelzebub” (Satan) rather than God. Jesus responds with a story about how a divided house cannot stand. In other words, if Jesus’ power were from Satan, why would he cast out demons? Such a divided house would crumble. And then Jesus warns them not to “blaspheme the Holy Spirit,” which, given the context, means claiming that Jesus is empowered by Satan rather than God. Interestingly, the scribes do not question the power of Jesus over demons. In other words, they accept that Jesus did miracles and could cast out demons. Rather, they question the source of his powers, attributing them to Satan rather than God. The malicious judgment of the scribes is evidence that faith and unbelief are not the result of proofs. There is a mistaken view abroad that if only we saw the undisputed miracles of Jesus we would believe—or believe more. The scribes, however, have seen precisely such evidence—but they do not believe. Faith, in other words, is not an automatic, inevitable, or necessary consequence of witnessing the acts of God. The words and deeds of Jesus are indeed evidence of God’s presence, but the evidence demands a decision from the beholder as to its source and significance. Faith judges that the person and work of Jesus stand in continuity with the character of God and hence have saving significance; disbelief judges that the person and work of Jesus derive not from God but, as the scribes suggest in this instance, from the devil. These kinds of stories fill the Bible. Jesus raises Lazarus from the dead, but rather than believing, the religious leaders want to kill Lazarus and run Jesus out of town (John 11-12:9). Even though Moses had done many miracles to rescue the Israelites, as soon as he delayed in coming down the mountain, they return to worshipping a golden calf (Exodus 32). There can be many reasons people do not believe in Jesus—intellectual, moral, emotional, relational, and more. But this passage in Mark makes clear that at least one reason is that Jesus demands a response from people that involves giving up power and worshipping him as God. Given what Jesus asks of us, even when the evidence is available and powerful, many people will choose not to believe. After all, Jesus did say, “If anyone would come after me, let him deny himself and take up his cross and follow me. For whoever would save his life will lose it, but whoever loses his life for my sake and the gospel’s will save it” (Mark 8:34-35). 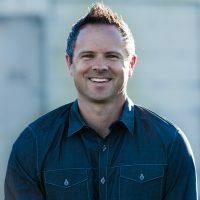 Sean McDowell, Ph.D. is a professor of Christian Apologetics at Biola University, a best-selling author of over 18 books, an internationally recognized speaker, and a part-time high school teacher. Follow him on Twitter: @sean_mcdowell and his blog: seanmcdowell.org. For instance, I think of my friend J. Warner Wallace, author of Cold Case Christianity. After studying the Gospel of Mark forensically as an atheist, he came to the conclusion that it was true before he even understood the message of the cross. James R. Edwards, The Gospel according to Mark (The Pillar New Testament Commentary; Grand Rapids, MI; Leicester, England: Eerdmans; Apollos, 2002), 119–120.